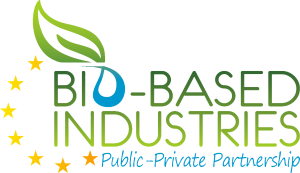 This work package aims to upscale ARBIOM’s biorefinery process from the existing pilot plant to a demonstration plant in coordination with PRAYON, by producing separately 2G sugars as well as Lignin. The objective is to demonstrate the viability of its operations and economics at commercial scale in order to support industrial production of proteins to be used as animal feed from woody material. This WP will focus on extensive analysis about nutritional quality of the resulting proteins, formulation of fish feed and testing at demonstration scale. The objective of this WP is to find a way to valorise entirely remaining by-products of the process into the highest added value product, notably into fish feed formulations. Business case analysis will produce an updated assessment of demonstration plant, and cover the whole value chain (from biomass collection logistics to product development) in order to have a comprehensive financial overview and finalize the business plan of the future industrial plant. The objective is to use environmental life cycle assessment and social life cycle assessment tools to understand and evaluate the environmental and socioeconomic performance of the novel protein value chains. WP7 objective is to ensure appropriate communication, exploitation and dissemination of SYLFEED results. WP8 relates to all aspects of project management, ensuring smooth communication with partners, project coordination, monitoring project progress and taking care communication and reporting is done effectively, in particular to the EU commission and BBI JU. WP9 ensures SYLFEED is compliant with all applicable Ethics requirements. The SYLFEED project is divided into 9 work packages. The work packages cover the whole value chain of the project from residues sourcing through biomass conversion into SCP to end-product manufacturing and testing. Economical and environmental aspects of the project are also integrated.